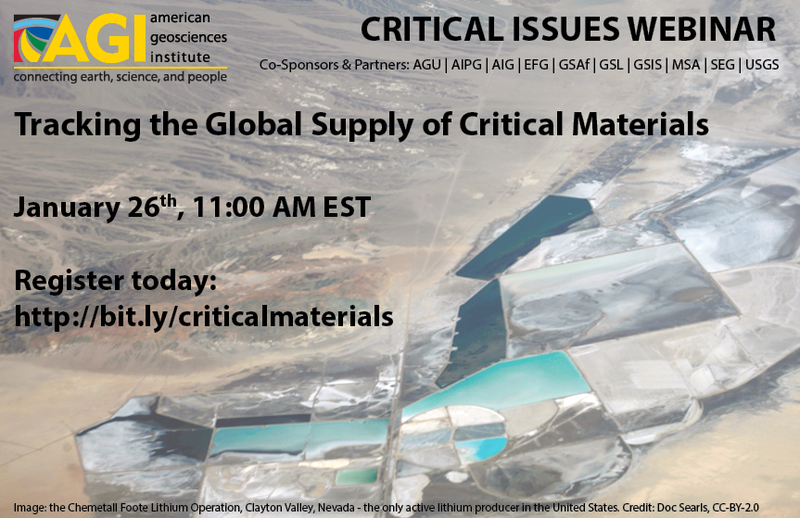 The webinar on “Tracking the Global Supply of Critical Materials” organised by the American Geosciences Institute took place on January 26, 2018. It was co-sponsored by the European Federation of Geologists (EFG) and its president, Vitor Correia, was one of the key-speakers. It had a total of 754 registrants and 400 live attendees from 48 different countries. Ph.D. Nedal Nassar (Chief of the Materials Flow Analysis Section in the National Minerals Information Center at the U.S. Geological Survey) was the other speaker in this discussion about the global supply of critical materials and the challenges it is facing. The webinar was recorded and it is now available here. If you missed the webinar or you would like to watch it again, please find it here. World Barometer, the Observatory’s new fortnightly publication is now live!